RSW- Artwork page, "Summer Valley"
See also the Purinton Hill for related pieces. "Painted summer 1932. Made from the head of a West Hawley Valley Road, the back of Mt. Peak, at Charlemont to the right, with the distant hill being 'Legate Hill' across the Deerfield River (not showing in the painting.)" We came across this 1907 photograph of Mount Peak from Legate Hill in regards to old mining that went on at the time so we examined this painting of the area and sure enough, you can see the mining operation in the middle of Legate Hill! 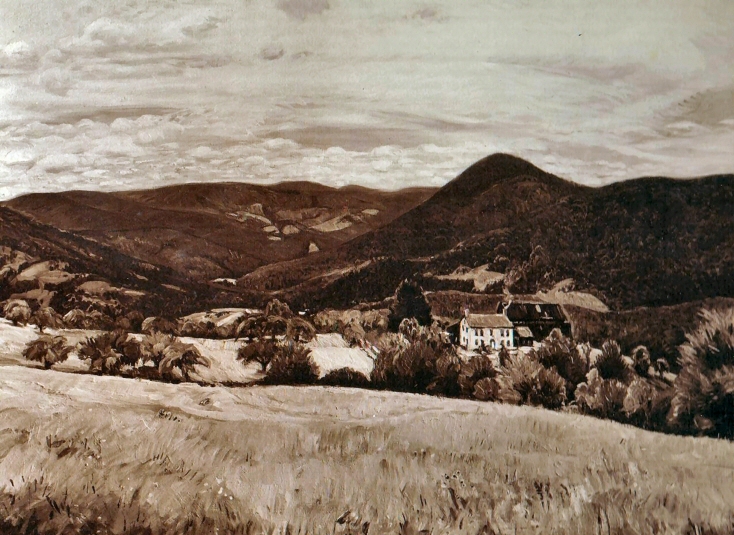 Woodward wrote in his diary comments that he painted this "from the head of a West Hawley Valley Road," which places him at the junction of Rt 116 and 8a, as seen in the topographical map to the right. 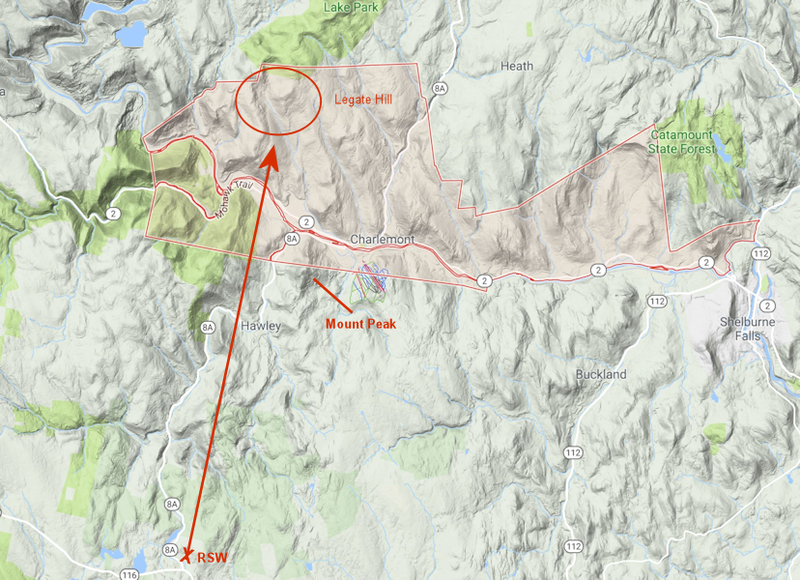 Below is the photograph and we added a graphic showing approximately where we believe RSW may have situated himself. 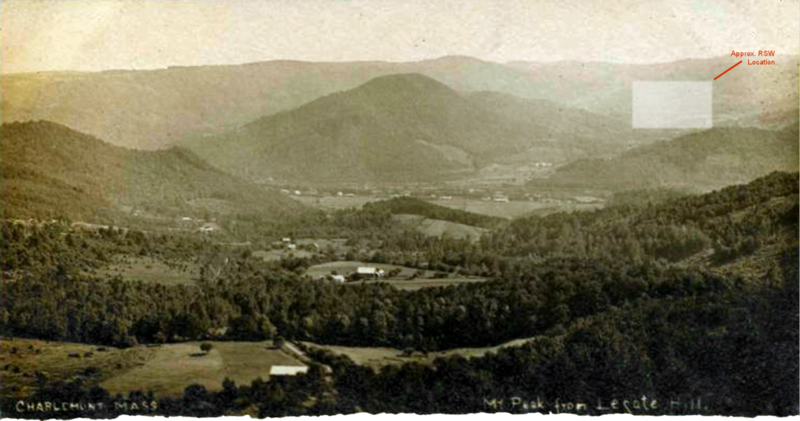 A 1907 photograph of Mt. Peak from Legate Hill. RSW would have been painting from somewhere in the upper right hill.